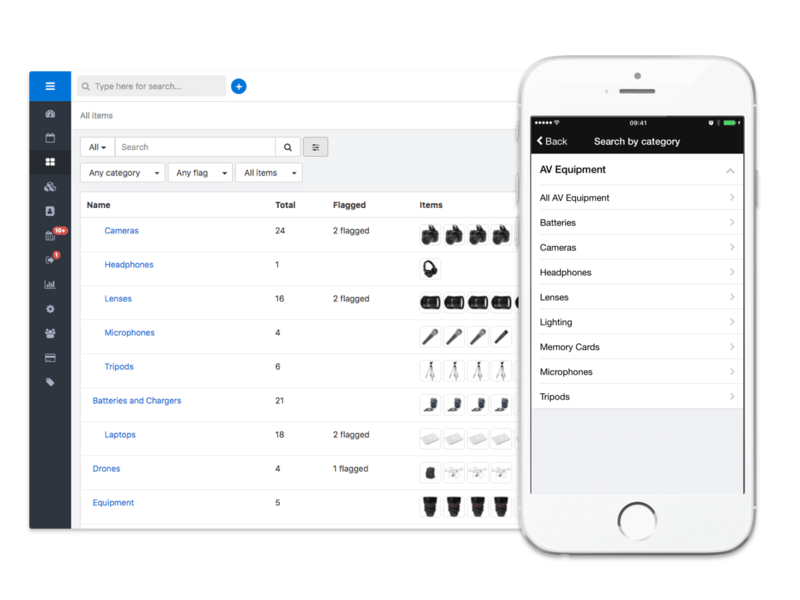 CHEQROOM’s asset management software keeps your equipment accessible in your own categories to track it more effectively. Keeping tabs on your assets is a breeze! When you use CHEQROOM as a team, everyone will always know what’s going on and when their equipment is due back. Maintain your awareness of where each piece of equipment is going and who’s responsible for it. You can easily import your spreadsheets in CHEQROOM, allowing you to start managing your inventory in CHEQROOM right away! With CHEQROOM, you can create your own categories for your own equipment. Personalize your inventory and add all types of colored labels to help with organizing and filtering. You know better how your assets are organized! Any additional files can be uploaded to every asset in your system easily and quickly. Photos, documents, receipts – with CHEQROOM, all your assets will always have all the information you need! You and your team won’t have to do any manual record-keeping ever again. Our asset management software is always up-to-date and accurate! In CHEQROOM, you can assign roles and permissions to make sure your team functions seamlessly. The right people are always in charge of the right tasks! 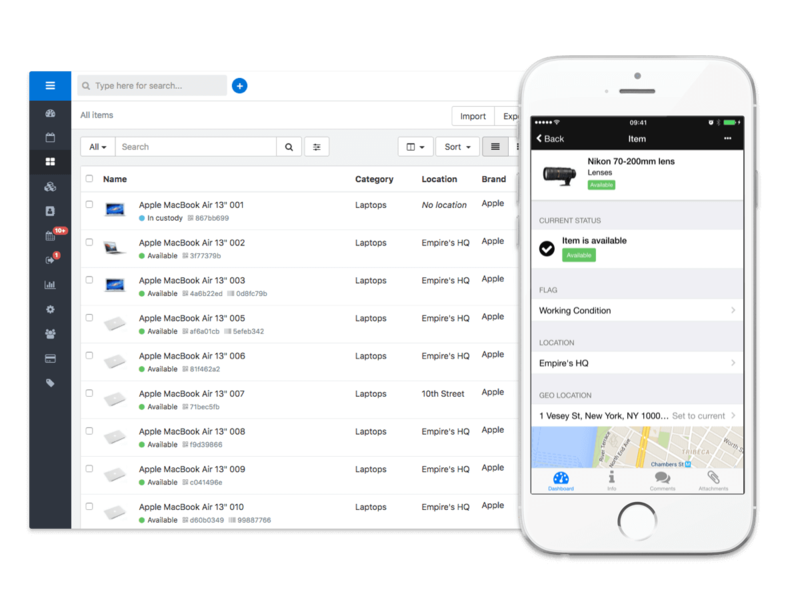 With the calendar and equipment schedule easily visible to everyone, you can be sure all users know what’s going on at a glance. You no longer need to check for open reservations or checkouts. 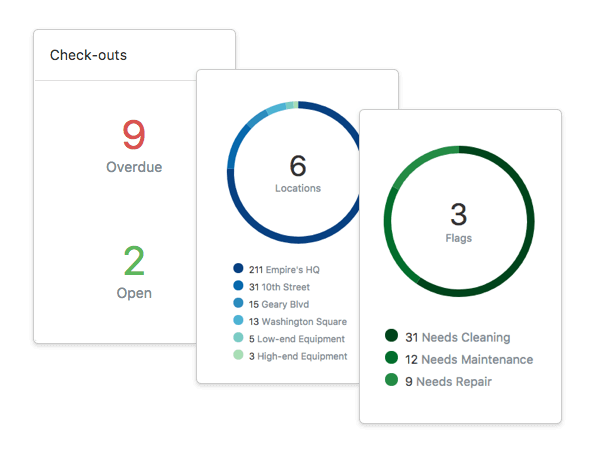 CHEQROOMs equipment management tool will send you automated reports every week or month!